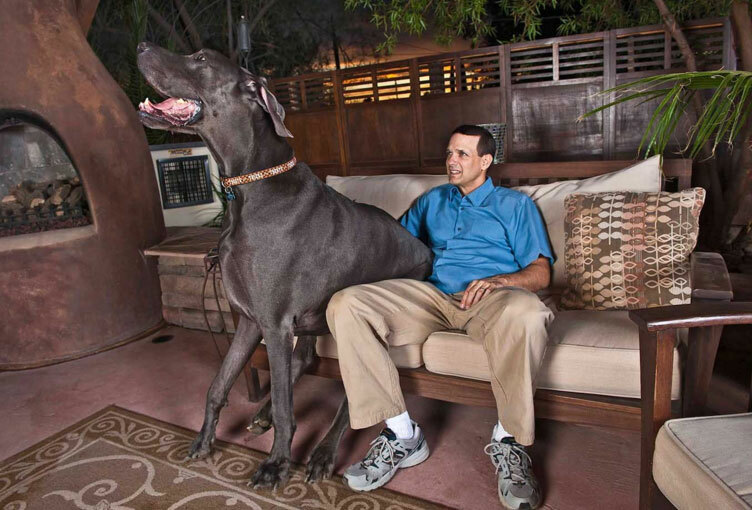 Before Giant George passed away in 2013, he was the world’s tallest dog, and quite easily the biggest dog in the world at 7ft 3 inches, astounding audiences the world over. He was showcased on Oprah Winfrey, The Today Show, Good Morning America, Animal Planet, Regis and Kelley, and many more TV shows. He had a HUGE internet following, with many believers in an afterlife wishing him well in a place people call “Rainbow Bridge”, shedding new light on the influence of domesticated animals on their owners. Not only is Giant George the biggest dog in the world, but his bark is definitely much bigger than his bite!